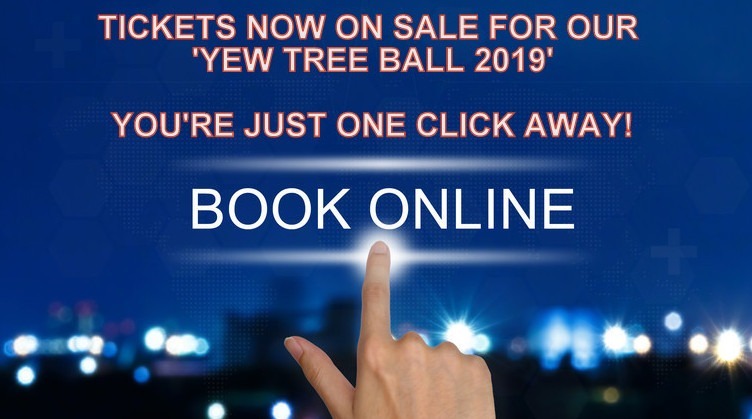 Tickets are NOW ON SALE for The Yew Tree Ball, incorporating our Annual Awards Gala 2019 to acknowledge and reward those individuals and voluntary organisations who continue to make a significant difference within our communities throughout Mayo. 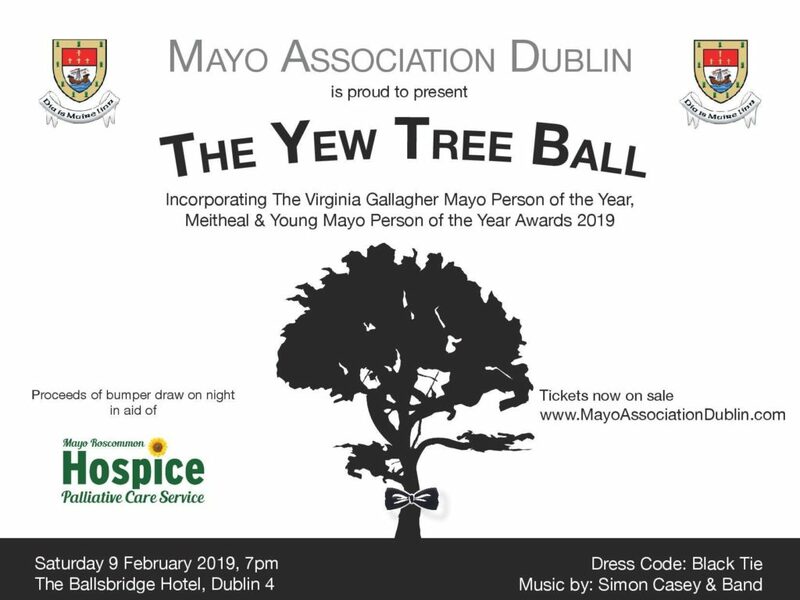 This year’s Yew Tree Ball returns to the Ballsbridge Hotel on Saturday 9 February, and we’re delighted to announce that all proceeds from our Bumper Draw on the night will be in aid of our charity partner Mayo Roscommon Hospice Palliative Care Service, which is fundraising to build two new palliative care units for Castlebar and Roscommon Town during 2019-2020. This is always a sell-out event, so you don’t want to be the odd-one out! To book your €100 tickets online CLICK HERE now and join us for the presentation of the ‘Virginia Gallagher Mayo Person of the Year’, the ‘Meitheal’ and the ‘Young Mayo Person of the Year’ Awards at our Black-Tie extravaganza. So, get your ‘glad rags’ on for an amazing evening of entertainment that will start @ 7pm with a pre-dinner Gin Bar (provided courtesy of Connacht Whiskey Distillery) and a Prosecco Reception in the main bar, before moving into the main dining arena to enjoy a four-course meal and wine – during which the awards will be presented to the winners on the night by Midwest Radio’s News and Sports Broadcaster Angelina Nugent. Following the awards presentation and the Bumper Draw, entertainment will be provided by Simon Casey & His Band. And for those who wish to reserve their tables at the event CLICK HERE to download the reservation form!